Saumya Tandon is an Indian TV actress who has also done a Hindi Bollywood films "Jab We Met" in the year 2007. He portrayed the character of Roop in that film as the younger sister of Kareena Kapoor. She also did a short English movie She is quite popular in Indian small screens. She is currently playing the character of Anita in popular TV serial of &TV "Bhabhi Ji Ghar Pe Hai". She has co-hosted the reality show "Zor Ka Jhatka" in the year 2011 along with Dance India Dance and Bourvita Quiz contest. Derek O Brien was her co-host in this quiz show. She also hosted the "Mallika-E-Kitchen" on Colours channel for three consecutive years. Apart from acting, she is a passionate poet and also nominated for Modi young writer national award for her poem book called "Meri Bhavnayein". Actually, it was her father who inspired her to write poems and she actually started composing poems at the age of 5. Anchoring and Debating are also her hobbies. Her current serial "Bhabhi Ji Ghar Pe hai" has raised Soumya into a new stage of popularity as it is one of the high rated TV soap these days and Soumya along with the other artists of this serial are outstanding. 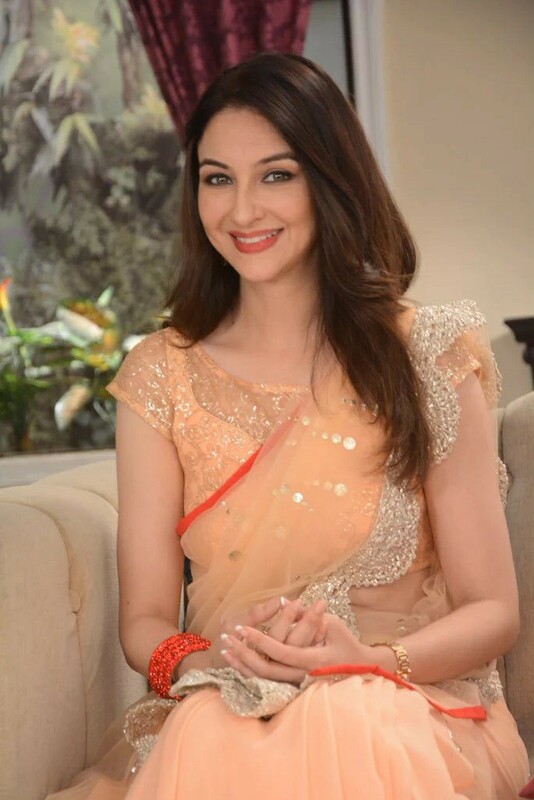 Saumya Tandon was born in Bhopal (Madhya Pradesh, India) on 3rd November 1984 to writer father Dr B.G Tandon. He father was actually a Scholar, Professor And Head Of the Department of English at Vikram University, Ujjain of Madhya Pradesh. He also authored more than 15 books on English literature. She has done her school studies from a convent school Saint Mary. Her school was situated at Ujjain which is also among the popular shrines of India. After her graduation, she did her MBA degree from Fore School of Management. In her early stage of career, she worked as a model but she got a superb chance to host Comedy circus soon. It was judged by the phenomenal Archana Puran Singh and the Punjabi Singer Dale Mehndi. For hosting this show, she was awarded in the year 2010. Saumya Tandon has married to Saurabh Devendra Singh who is her long term boyfriend and a banker by profession.